The basic difference between AC motors and DC motors is the direction in which the current flows through the engine itself, as the flow of DC current cannot be changed. Both types of motors use magnets to create the motion necessary for power generation. When the coil in a DC motor is powered, a magnetic field is generated around the armature, the moving part of the motor. The left side of the armature is pushed away from the left magnet and drawn toward the right, causing rotation. The armature continues to rotate until it becomes horizontally aligned. At this point, the commutator reverses the direction of current, thus reversing the magnetic field. This process continually repeats, with the rotational movement being the source of power that is transferred into equipment. Examples of specific DC motor types include servo, induction, brushless, and gear motors, all of which serve many different purposes. 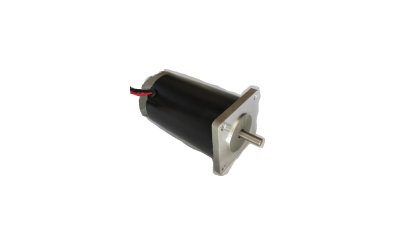 The size range and power capacity can differ tremendously depending on the specific type of DC motor used. Some of the many applications for DC motors include conveyors, cranes, extruders, hoists, mixers, winders, printing presses, metering pumps, packing equipment, metal handling, and various engineering uses. DC Motors Direct current (DC) motors have current flowing in only one direction. 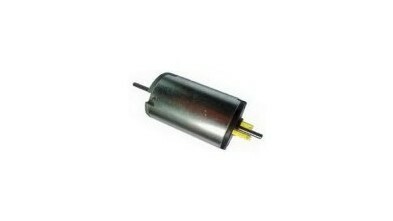 DC motors provide adjustable speed and torque and contain a rotor and permanent magnetic field stator.